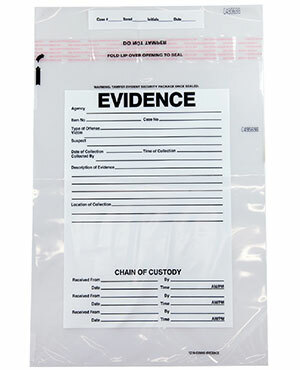 Plastic Evidence Bags 12 x 16 Secur-Pak are patented self-sealing and tamper evident plastic evidence bags. 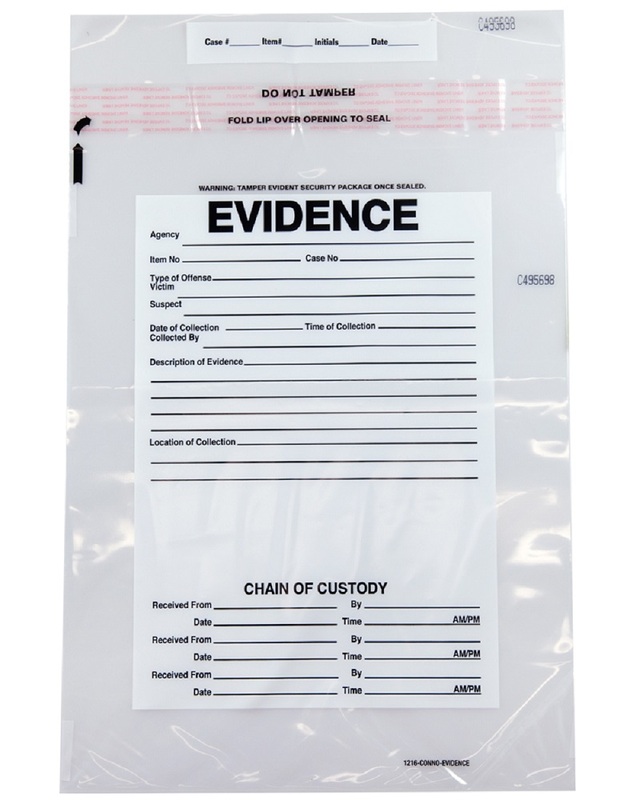 These evidence bags also include a sequential number system and a tear off receipt. Secur-Pak Evidence Bags 12 x 16 Tamper Evident 2.5 Mil plastic evidence bags also resist freon and melt when heat is applied which further protect the contents of these Secur-Pak bank deposit bags from tampering.